Provides the material needed when preparing for and during a trial, including both substantive law and the practice and procedure of the courts. 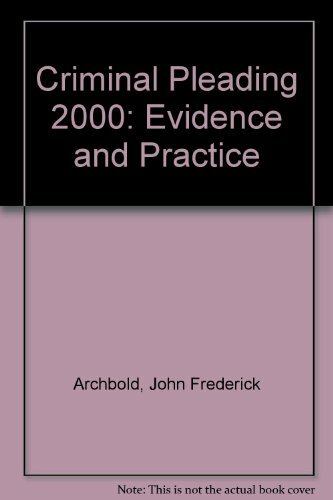 The 200 edition contains legislation affecting in particular mode of trial, rights of audience and legal aid. It also keeps the chapter on human rights up to date by including material covering the Human Rights Act 1998 prior to its implementation in 2000.